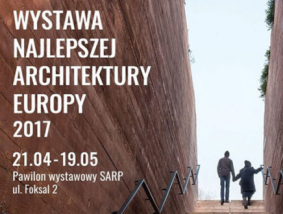 Exhibition of the European Union Prize for Contemporary Architecture - Mies van der Rohe Award 2017 in Bratislava, Slovakia. From May 29 to June 2 2018 at Justiho sieň, Primaciálne nám. 1, Bratislava. From June 4 to June 11 2018 at Galéria ARCHA, Uršulínska 6, Bratislava.